Pre evolves & Pixi - Palm WebOS, Pre and Pixi – Where Are We Now? The Pre’s biggest shortcoming is in the build quality of the hardware and this is the spot where the iPhone noticeably trounces it. The iPhone just feels indestructible, which is pretty amazing for a device with such a huge screen. It is Pre’s slider design that hurts it the most. The plastic-on-plastic mechanism just isn’t all too smooth and that little bit of grinding sound is enough to make the phone feel a little cheap. You never get that impression with the iPhone or any Blackberry. It may be the nature of the beast when it comes to the hardware from a design standpoint. To keep the device to a reasonable size, yet maintain the size of the LCD, Palm had to hide the keyboard as they did. Of course they could have chosen a smaller screen, and leave the keyboard always exposed – which brings us to Palm’s second WebOS device – Pixi. When it was first released in November 2009, it seemed as if the Pixi was being steered into the lower-end smartphone market, perhaps as a ‘starter smartphone,’ to those coming from what’s become known as a ‘feature phone’. Pixi’s price certainly confirmed that, at 99$ to start, and it’s even cheaper now, if not free (with a contract, of course). What’s interesting, though, if looked at from a bit of a higher level, is that Pixi actually exceeds its ‘big brother’ Pre in some areas, despite its diminutive stature. It’s easy to say that the name “Pixi” doesn’t exactly conjure up images of a tough, fully-featured mobile device that’s meant to centralize your on-the-go experience. Truth be told, the name “Pixi” does sound a little…wimpy. While there is some truth to that perception as we’ll see later, there are some interesting things going on here. 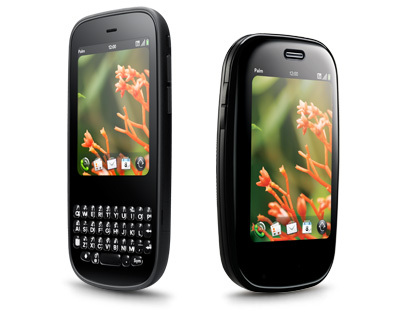 As you can see, Palm chose a radically different form factor from its first WebOS device. 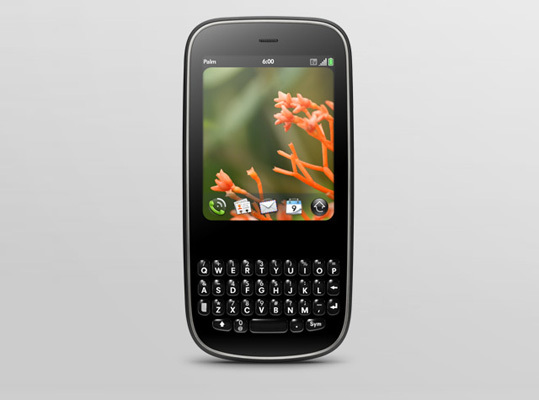 With Pixi, Palm has brought back memories of the Treos and Centros of years past. In eschewing the slider mechanism of the Pre, Palm has eliminated what was, without a doubt, Pre’s biggest shortcoming. Gone is the grinding plastic-on-plastic mechanics used to expose the keyboard. Oreo-twist effect? Forget it. There are no physical bits here to ruin the experience or distract from the excellence that is WebOS, just a monolithic chunk of plastic that feels very, well, iPhone like. It’s solid-feeling, as if you could drop it and it wouldn’t shatter into 300 pieces (which is exactly the feeling you get when holding the Pre). Palm also seems to have found some cost savings with the Pixi backlight. It’s not dim by any stretch, but if compared with the Pre (which might not be fair), it’s not as bright. This is probably more of a compliment to Pre’s screen than anything else, but needs mentioning if you are coming from the Pre. That all being send, Pixi’s screen is still outstanding – one of the best around. Brief side track - this brings up an interesting question: what’s the most desirable form factor here? The answer is… there may not be an answer. If you ask Apple, a hardware keyboard is oh-so-1990’s. 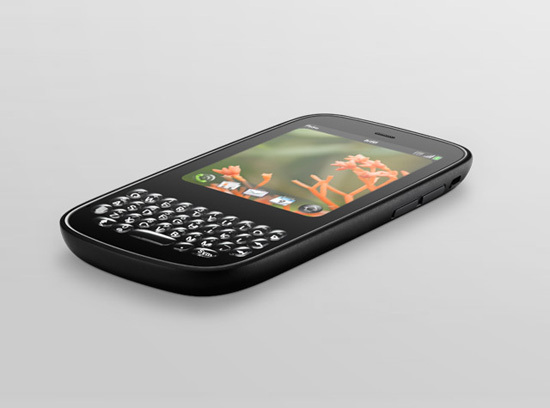 Palm seems to be in the same camp as RIM in that hardware keyboards are the way to go. Android seems to be leaning towards software side of things and the newly announced Windows Phone 7 will support both paradigms. There are those who believe that the industry as a whole is moving towards devices with big screens and software keyboards. The one-device-to-rule-them-all camp is in that group when you consider that these phones are also fully featured media players that can store video, access YouTube etc. On the other hand, who can argue with the millions of corporate Blackberry carriers who depend on their hardware keyboard to rip off dozens of emails per day? Perhaps this is another area where there is room for more than one, or even several, form factors and designs. Beyond the changes to the screen, it’s obvious that the Pixi was designed with the Pre’s shortcomings in mind. Palm clearly learned something from the Pre and how it was received. For example, the default back panel of the Pixi is textured like the Pre’s Touchstone back (though the default Pixi panel is not a Touchstone panel – that costs extra - *mutter*). Also, regarding the Touchstone – the Pixi sticks to it much stronger than the Pre. It might not sound like much, but if you’ve ever tossed the Pre on the Touchstone and had it slide off and not charge for a whole night (as I have, more than once) you’ll appreciate this. The microUSB port door on the Pixi isn’t a nightmare as on the Pre. You actually don’t need a micro-crowbar to get it open. Pixi also moves a few buttons around slightly. The power switch is on the opposite corner from the Pre’s and the volume buttons have moved from left to right. Palm’s famous silencer switch has a different form and a slightly different position. It also feels a little more solid, which if you’ve read this far, you will recognize as a theme. The other big change - on the Pre, the “gesture area” is broken up by a raised, hardware button meant to minimize all the active windows to cards and take you to the desktop. While this button is useful in that respect, it’s by no means required. That same action can be completed by simply swiping up from the gesture area. The real problem with the center button though is that it’s right smack in the middle of the gesture area. This is an issue given that the gesture area is for…gestures. The button is a speed bump in the middle of the area in which you’re supposed to be performing swipes to accomplish things. Yes, you can swipe left to right on either side of the button, or slightly above it (if you’re precise), but that lessens the effect of the whole gesture interface. Fortunately, this is another of those things that Palm did right in changing with the Pixi. While the button is still there, it’s a touch-sensitive area under the plastic of the gesture area. There’s no bump, or physical area to foul up your gesture-ing. Oh and Palm has further adopted this change in its latest devices which have recently come to the Verizon network. Both the Pre Plus and the Pixi Plus feature that smooth, non raised center button.